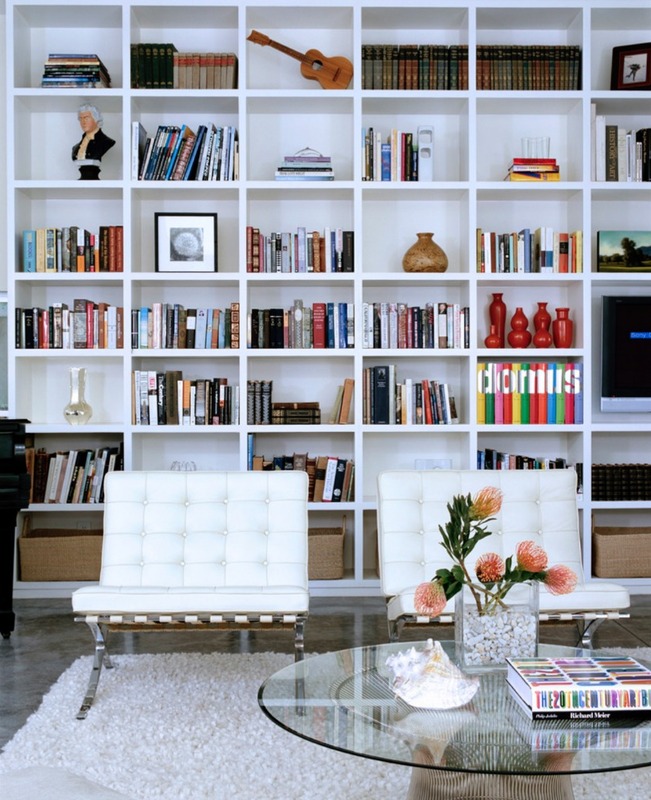 Books increasingly represent prestigious items that deserve to be put in a place where everyone can see them. 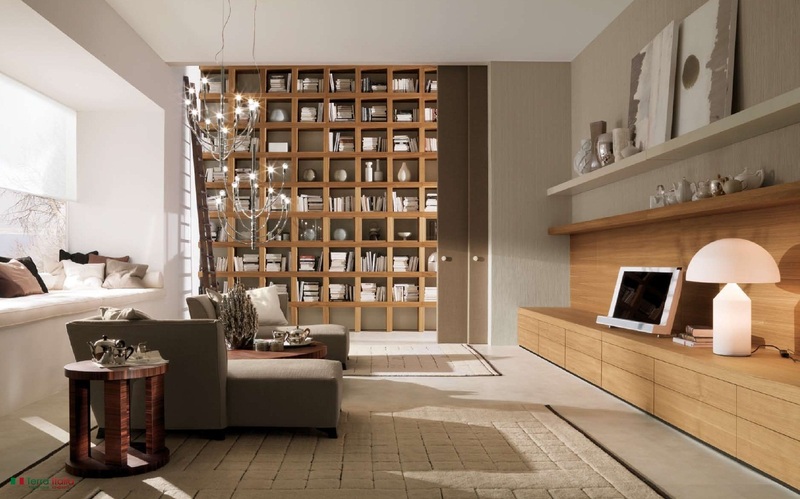 An interesting bookcase is a magnet for the views. 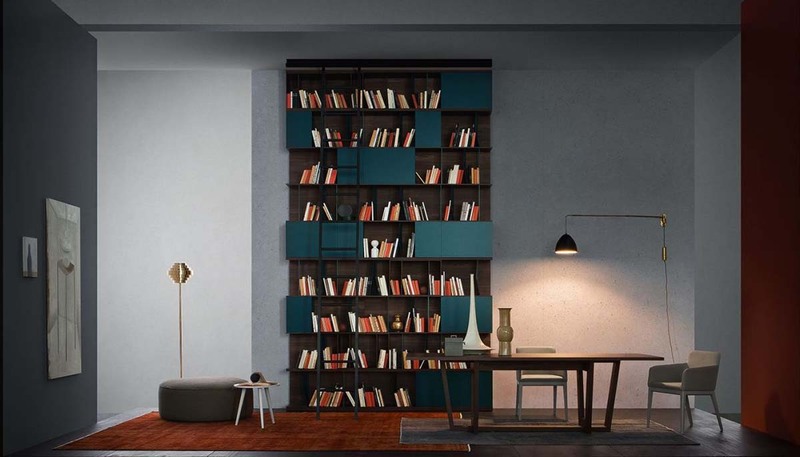 One of many ideas is to put the library on one wall that comprises with closed and open shelves with or without back. 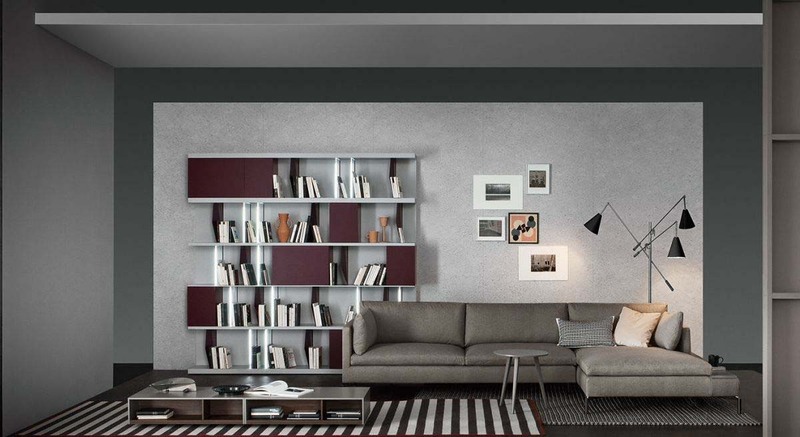 In addition to secure monochrome color combinations, library can be performed in different scheme of color: yellow-black, violet-gray, white-gray, brown-navy, burgundy-brown,…The specified color you can synchronize with the rest of the furniture in the room. 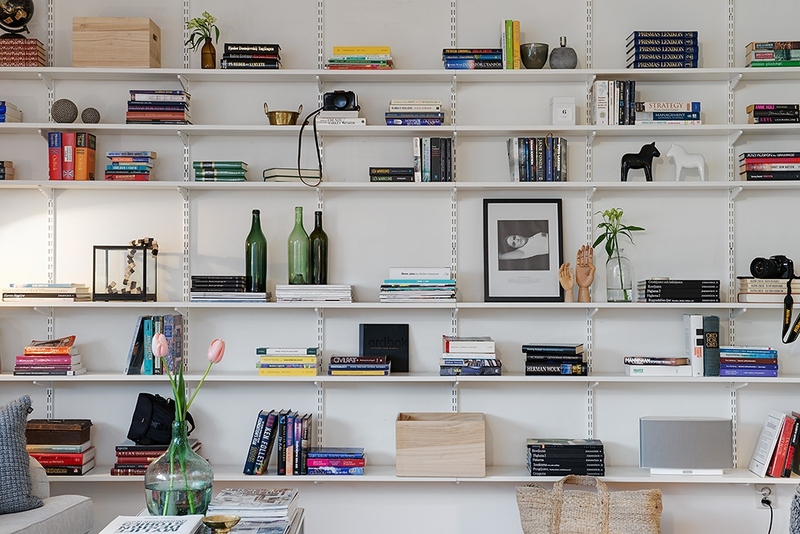 Having a library is good for two reasons – you get a lot of space for things, but also an aesthetic component. 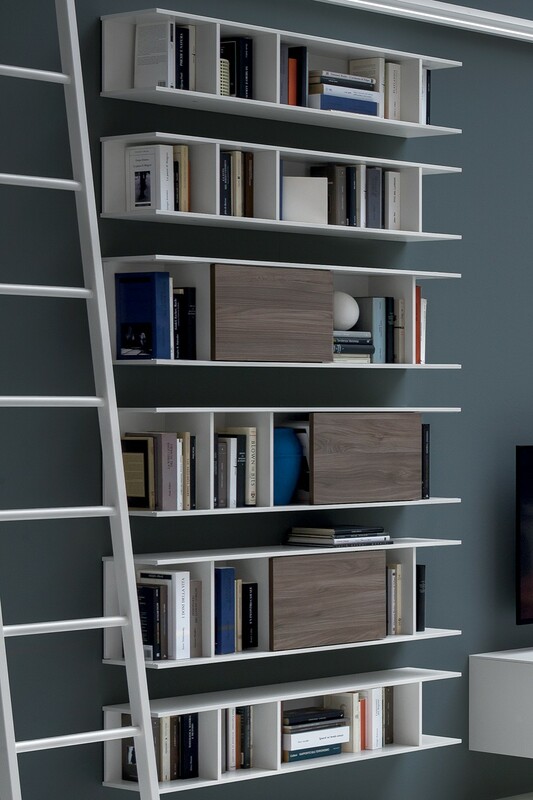 In general, you should not place only books. 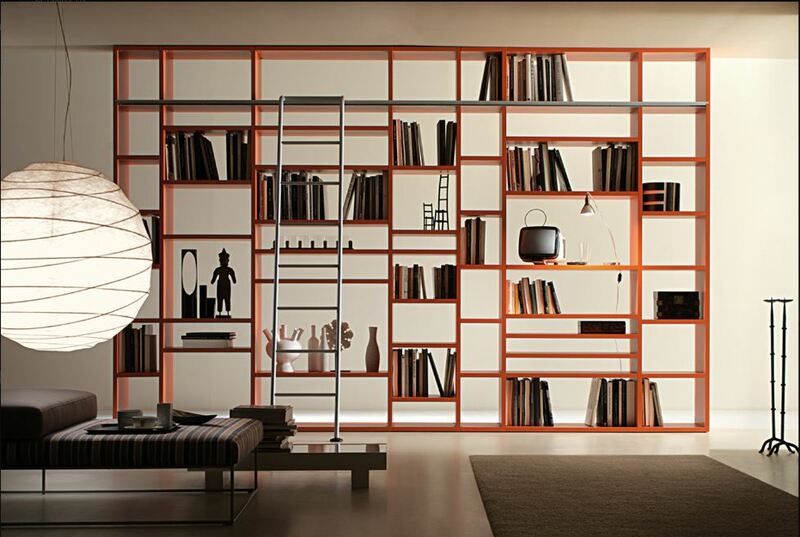 You could choose your favorite details, photos, memories and books and expose them in the library. 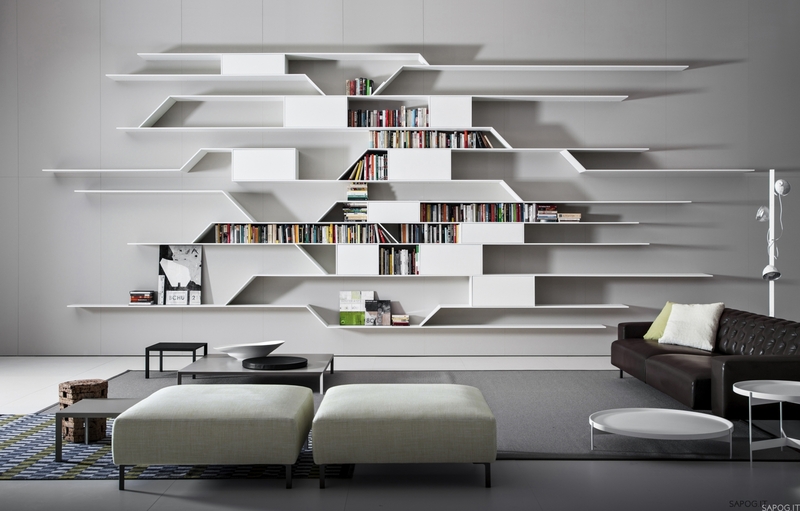 Put various stuff on the shelves, and you can play with the different heights and shapes. 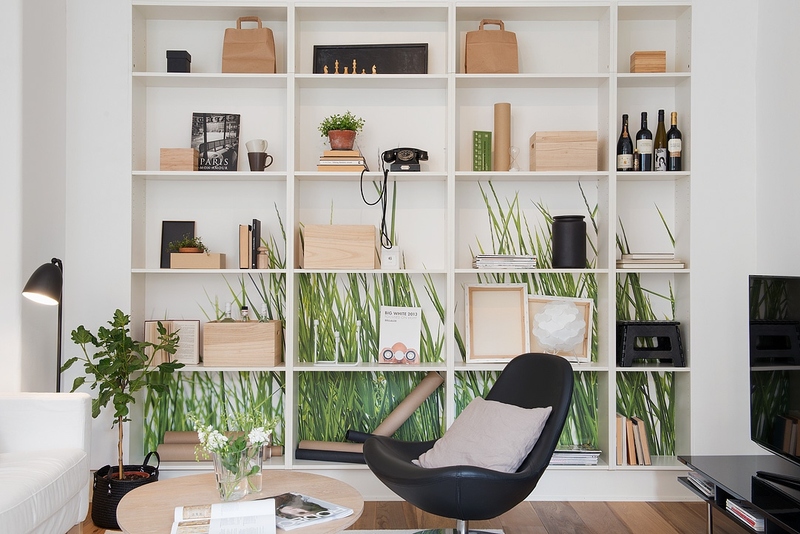 Always interesting solution is placing wallpaper or something else behind the library for additional highlight, or create a focal point in the room. 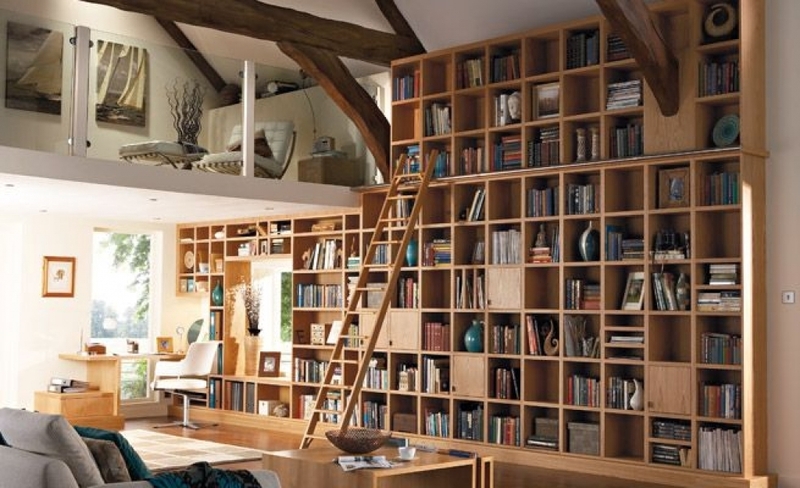 In the houses with high ceilings, you can make the whole height to set up libraries, so to the books or decorations you can approach with the ladder. Near to the library you can also have a sofa or armchairs with cushions. 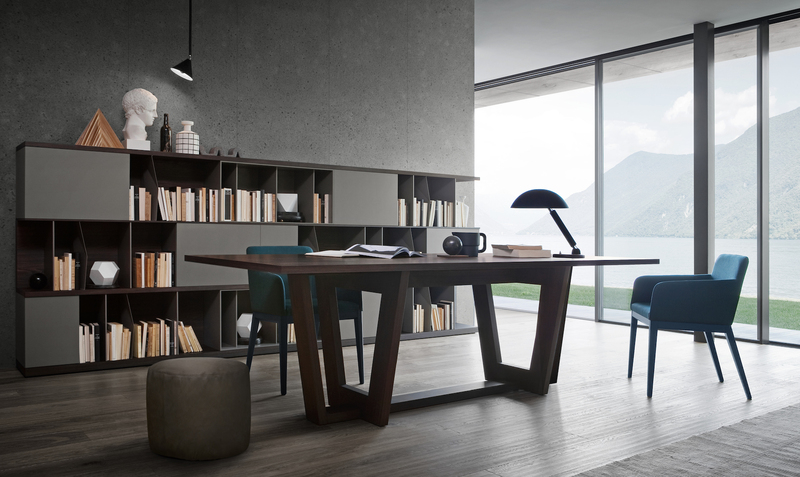 There you can have a peace for reading, take notes or simply you can convince your guests to spend a few hours there. When you are going to read you will be need a special lamp. The light should be positioned over your shoulders, not directly pointed in your eyes. 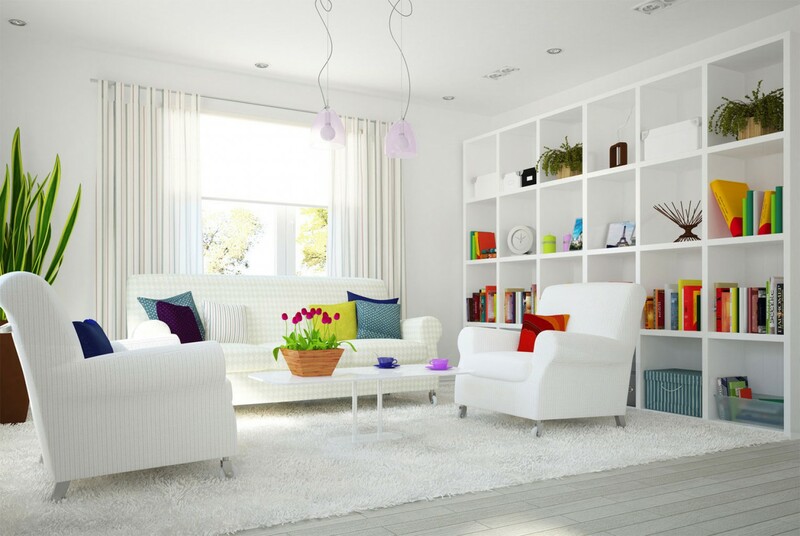 So you can choose a stylish chair lamp that fit with the other furniture in the room.